Media registration is open now! Changes in the polar regions have a great influence on the global climate, sea level change, ecosystems, the livelihood of indigenous peoples, transport routes and resource exploitation, to name only a few. What happens at the poles affects us all. Researchers around the world aim at better understanding the changes in the Polar Regions to enable us to adapt to impacts of our changing climate. 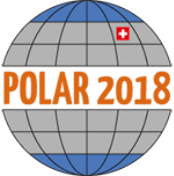 POLAR2018 brings together the world’s leading experts and decision makers working in the Arctic and Antarctic. For the first time since the International Polar Year 2007-2008, the organizations leading in both arctic and Antarctic research will convene in one place. This provides a great opportunity for journalists to gather information about the latest research from arctic, Antarctic and high elevation regions and to meet scientists from all over the world. About 2000 researchers will participate in the conference, which is taking place in Davos, Switzerland, from 15 to 26 June 2018. Journalists are welcome to attend the Open Science Conference or the AOS summit or other sessions and meetings during POLAR2018. If you are planning to produce a program, documentary or article on the conference or its topics, we will be pleased to provide assistance and arrange meetings or interviews with our team of experts. Abstracts: Every abstract presented at the Open Science Conference is available online. The program of the Open Science Conference OSC features 65 sessions, structured into 12 categories, covering relevant topics from natural sciences to history, and from social sciences to medicine, to name only a few. In addition to the parallel sessions, central elements of the OSC will be keynote presentations, mini-symposia, extended poster sessions and exhibitions. The annual COMNAP symposium will be held during the OSC, as well as a plenary lecture from the 2018 Arctic Observing Summit as an opening to this biennial summit immediately after the OSC. SCAR is an interdisciplinary body of the International Council for Science (ICSU), charged with initiating, developing and coordinating high quality international scientific research in Antarctica, and on the role of the Antarctic region in the global systems as well as providing independent science advice to policy makers. IACS is a non-governmental organization that aims to encourage, facilitate and promote cooperation in all aspects of arctic research in all areas of the arctic region. Swiss Federal Institute for Forest Snow and Landscape Research WSL: „Research for People and the environment“: WSL monitors and studies forest, landscapes, biodiversity, natural hazards and snow and ice. WSL is a research institute of the Swiss Confederation and part of the ETH domain. The WSL Institute for Snow and Avalanche Research SLF is part of WSL since 1989. WSL is a founding member of the Swiss Polar Institute. WSL Institute for Snow and Avalanche Research SLF: The WSL Institute for Snow and Avalanche Research SLF is part of the Swiss Federal Research Institute WSL and thus belongs to the ETH Domain. It engages in research and scientific services with focus on snow, avalanches, other alpine natural hazards, permafrost and mountain ecosystems. Its best-known service is the avalanche bulletin for Switzerland.